A few months ago Zerodegrees, a restaurant and microbrewery group, invited me along to a series of events they were running as part of their #Brewmasters campaign, which gave diners the opportunity to meet their brewers, and learn more about the beers and the brewing process. Unfortunately I couldn’t attend, but decided to pop in when I was last in Bristol to check it out. 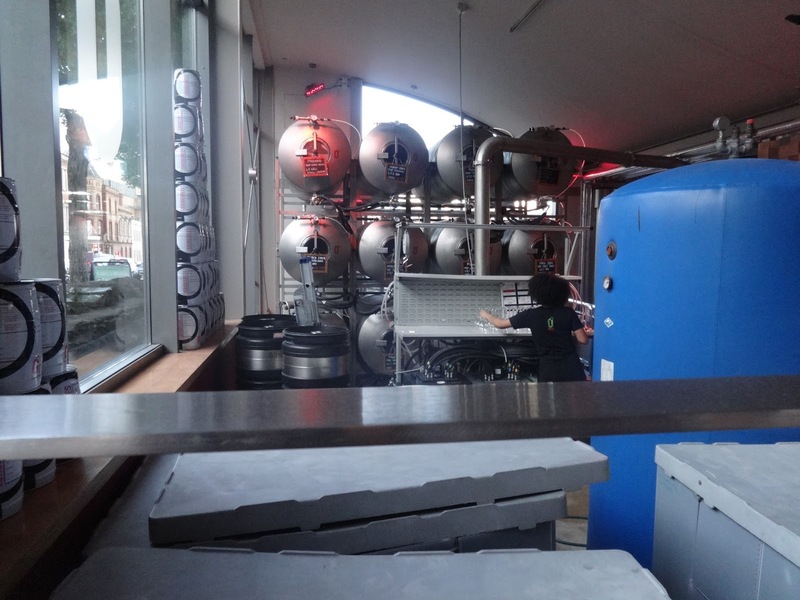 As you enter the restaurant the first thing that catches your eye is the collection of large brewing tanks. 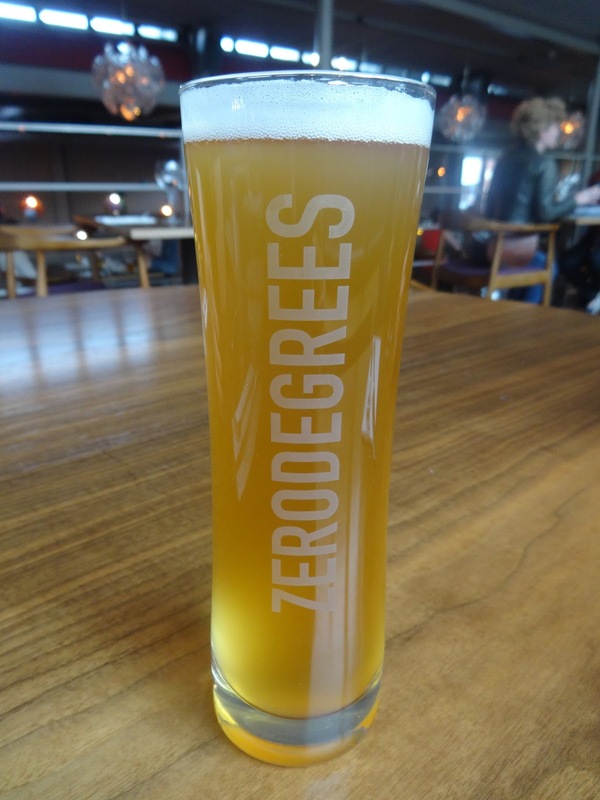 At all Zerodegrees restaurants the entire brewing process takes place on site, ensuring the beer is as fresh as it can possibly be. Though I was there for the beer, no beer quest would be complete without the addition of a tasty treat and Zerodegres are renowned for their wood-fired pizzas. I chose the peking duck which was absolutely loaded with shredded duck, spring onions and hoi sin sauce with pieces of crispy tortilla on top. Should I ever require a ‘last meal’, this could well be it. Just looking at this photo makes me hungry. Now, I can’t lie, the biggest motivation for seeking them out was the promise of mango beer. I have spoken in the past about my quest for the perfect mango beer (Tickle Monster came close, obv); I love mango and I love beer so the two combined must be The Best Thing Ever, right? Also each pint would be one of your five a day. Sorted. The range of permanent beers includes a Pilsner, Pale Ale, Wheat Lager, Black Lager and the Mango Beer. They also brew seasonal limited editions and one offs. The Mango Beer started as a limited edition, but was apparently so popular that it made its way into the permanent range; this bode well for me and my quest. The black lager described itself as a Czech style dark beer, which is one of my favourite styles so I had high hopes. It didn’t disappoint with an impressive depth of flavour and scrummy notes of coffee and caramel. Czech style though? If this had been described as a London porter I wouldn’t have thought twice. Oh well, semantics eh? Next up was the bad boy I’d been waiting for, the mango beer. And wow, what a mango fest this was! It was described on the menu as ‘slightly sweet’, but I would say that if you don’t have a sweet tooth then this is not the beer for you as there was nil hop bitterness there. That said, it was also very crisp and refreshing, not heavy and cloying as you might expect. I’m going to go out on a limb and say it was the best mango beer I’ve tried in terms of drinkability (at only 4.2%) and, you know, actually tasting like a mango. 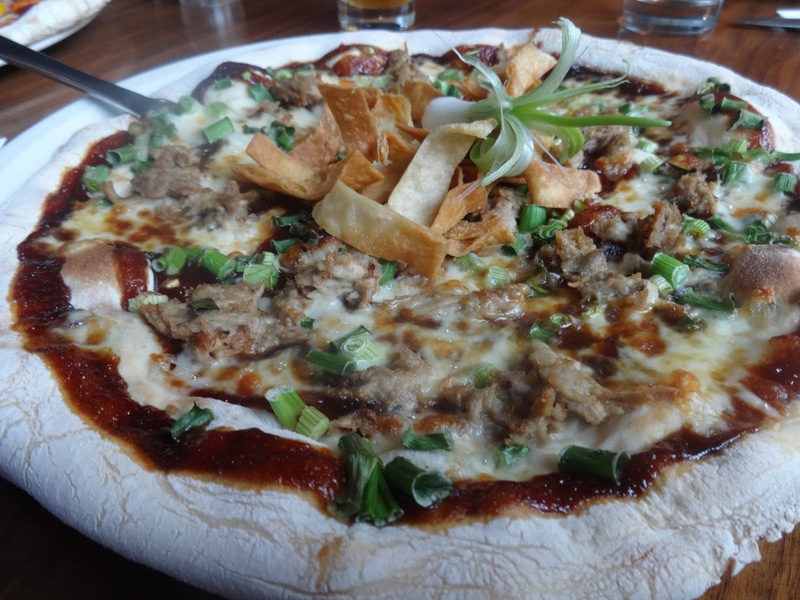 It also perfectly complemented my duck pizza, so props to it for that, too. 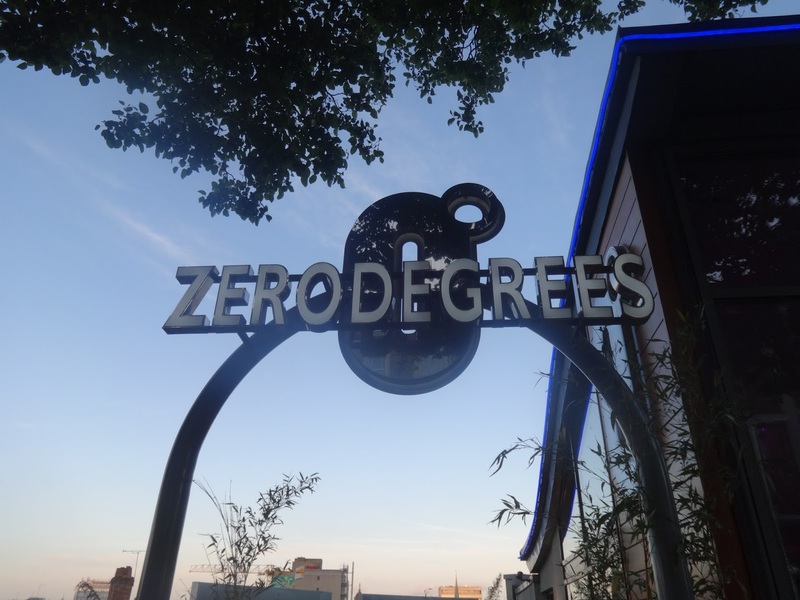 Zerodegrees have restaurants/microbreweries in Blackheath, Bristol, Reading and Cardiff, too, so I’d recommend giving them a visit if you’re in those areas. They’re great for taking non-beer drinkers to as well (what? who are these people?) as the food is pukka.